New Orleans is my favorite city in the United States and would be my favorite worldwide if it wasn’t for pesky old Glasgow. Since it’s only a five hour drive away from us, and you can literally find a festival or fun event for every weekend of the year, it’s no wonder that it has become our go-to vacation spot. 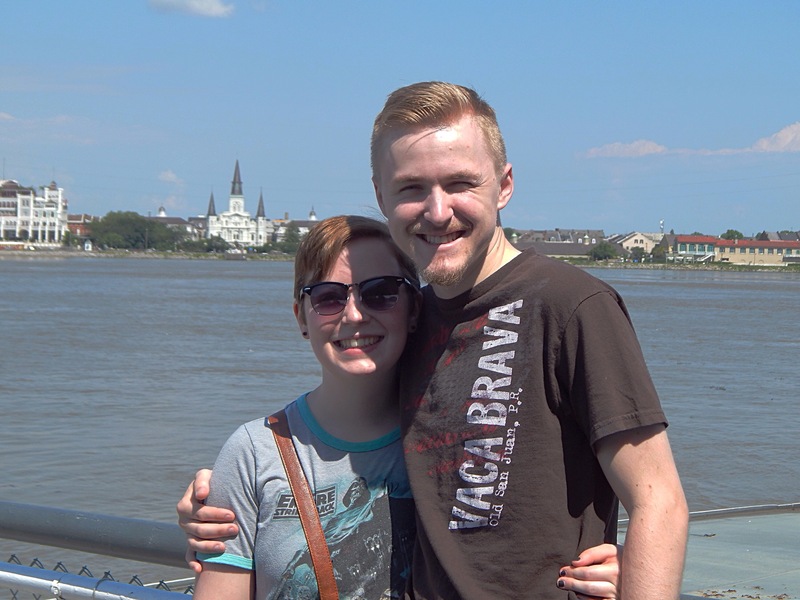 Over the last few years, Peter and I have visited the Big Easy over half a dozen times and have plans to go at least twice in 2019. 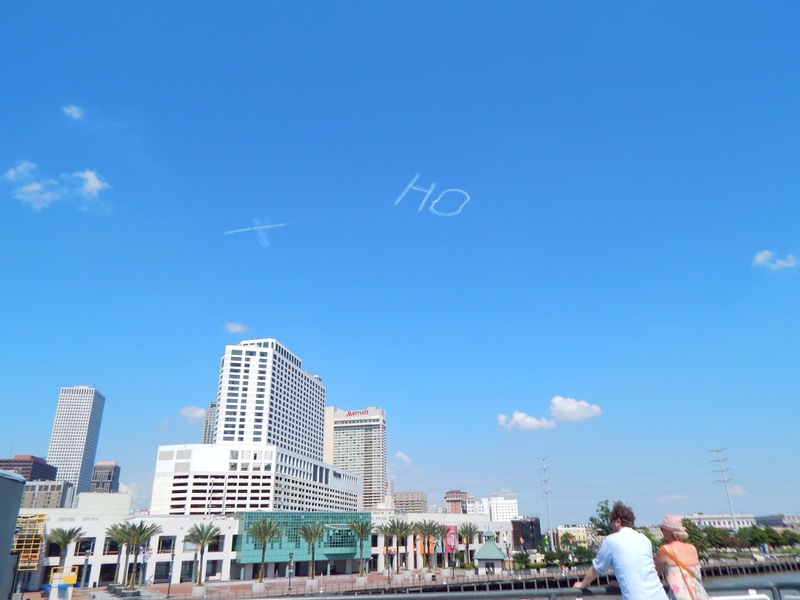 Even with the ever changing schedule of parades and happenings, there are some constant attractions in New Orleans that guarantee a good time. I’ve created my list of the top five things to do in the city, all of which can be easily accomplished over a long weekend. 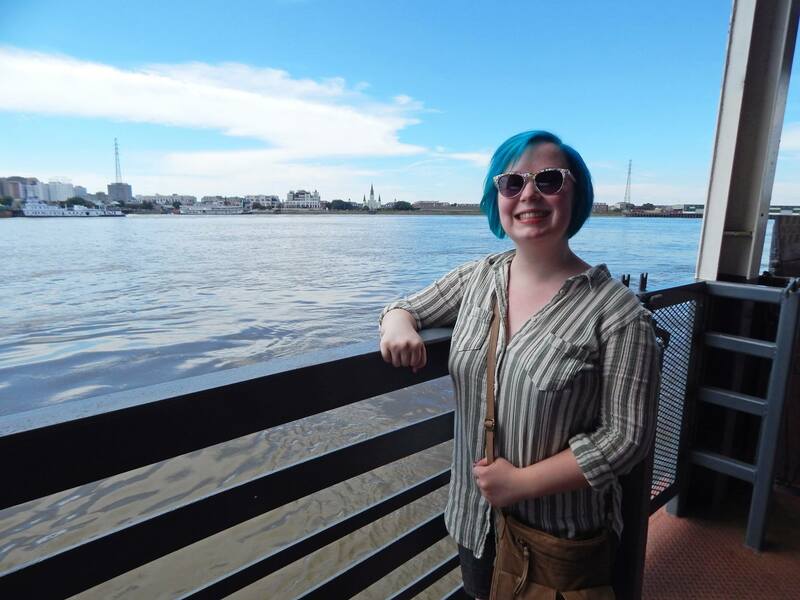 Keep in mind that I specifically chose activities in or near the French Quarter since that’s where most first-time visitors choose to stay. 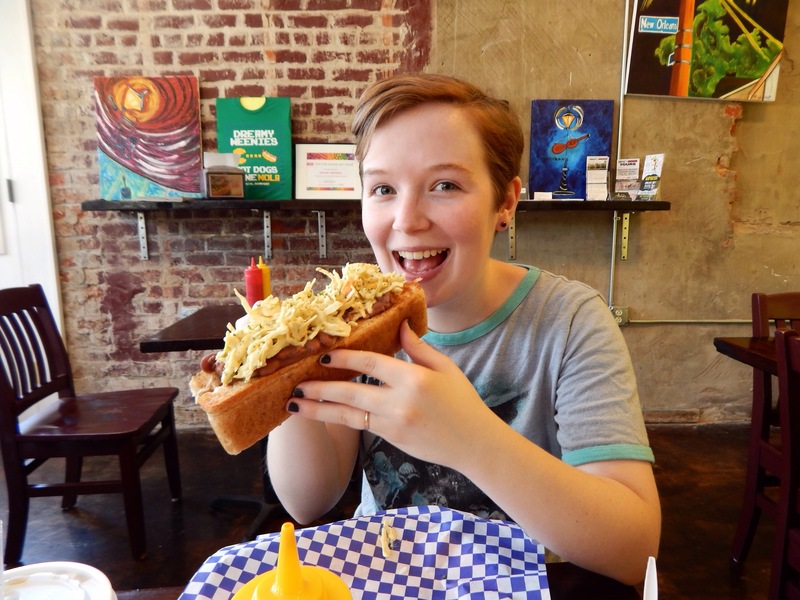 If you’re looking for more adventure or just want to explore different avenues of New Orleans’ districts, we also really like activities and restaurants in the Lower Garden District and Bywater neighborhoods. Since New Orleans is one of the most haunted cities in America, there are approximately a million and one tour companies vying for your business when it comes to ghost tours. Our favorite is French Quarter Phantoms. Their tours are always well-run, not overpriced, and leave you knowing a lot more about the city. The best part? Their tour guides are all told to research their own lore about New Orleans instead of following a script, so no two tours are the same. If ghosts aren’t of interest to you, they also offer some great day-time options like the Saints + Sinners Tour and Garden District Tour. 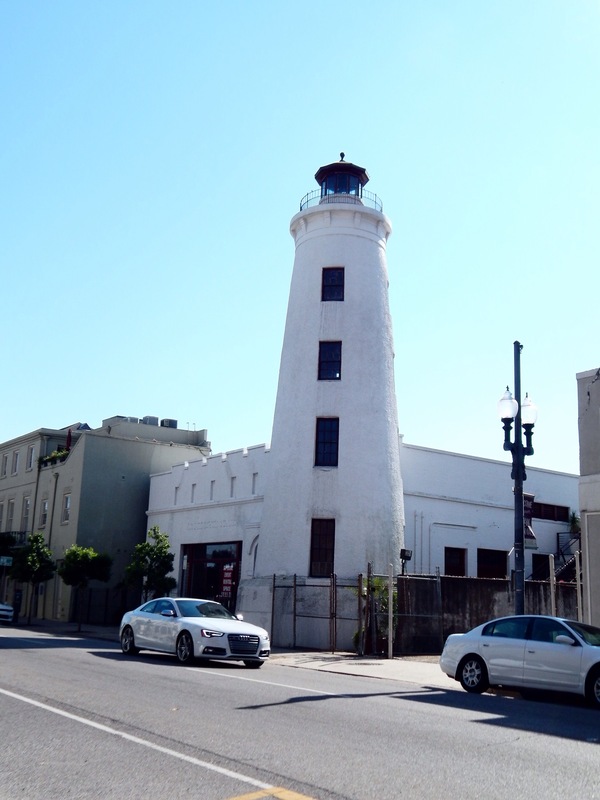 Take a moment away from the hustle and bustle of the city and cross the river to visit Algiers Point. Ride the ferry, which lasts about five minutes and costs $2 cash, across the Mississippi River to the little neighborhood. Walk through the streets to find adorable homes with well-tended gardens, locals lounging on their porches, and plenty of friendly cats that aren’t opposed to getting petted. 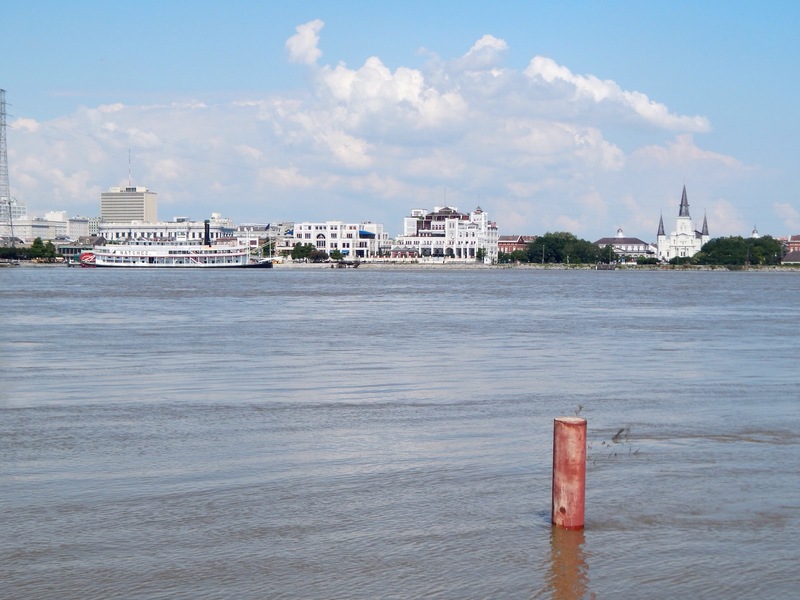 Or walk along the levee for a gorgeous view of the French Quarter. If you’re looking for a drink or snack while you’re on this side of the river, visit One Stone. 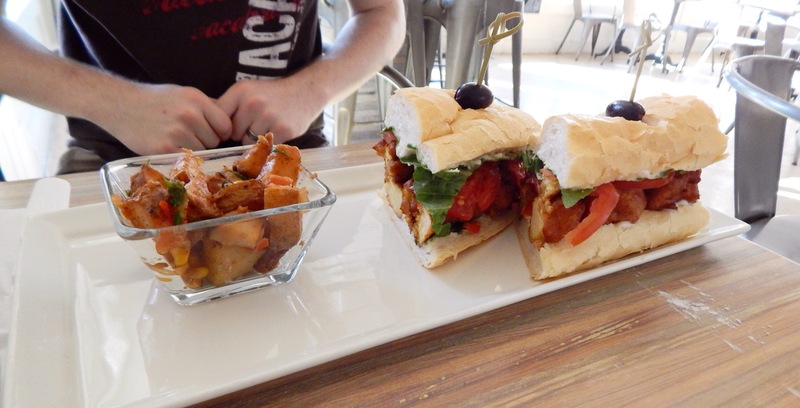 They have vegan pastries, coffees, and teas all served in a modern cafe filled with local art. New Orleans holds a wealth of exciting museums. For history buffs, I can’t recommend the National World War II Museum enough. It’s humongous, full of fascinating displays, and portrays individual soldiers in a very moving way. 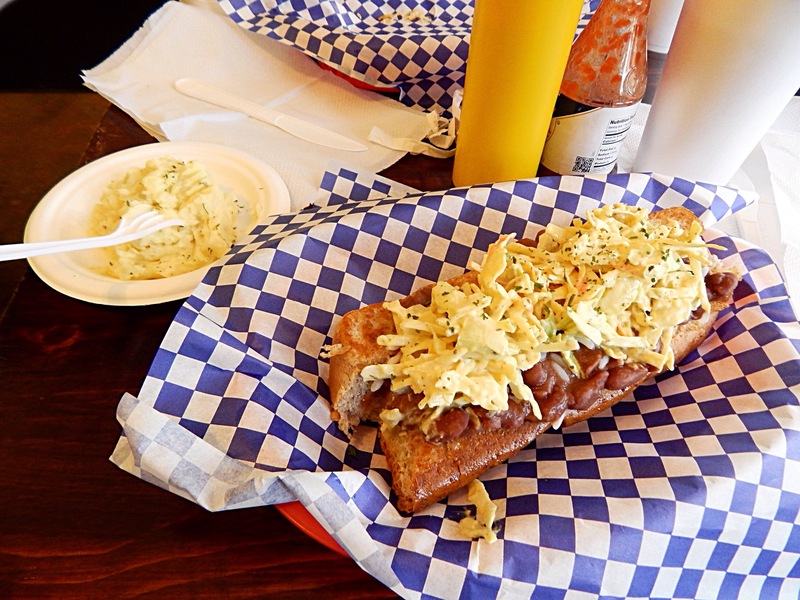 On a lighter note, culinary buffs will have fun visiting the Southern Food and Beverage Museum. It’s a wacky attraction full of interactive sections covering everything from the history of absinthe to the rise and fall of the Piggly Wiggly grocery store chain. If you’re looking for more of a short and sweet stop, I’d recommend the Irish Cultural Museum. 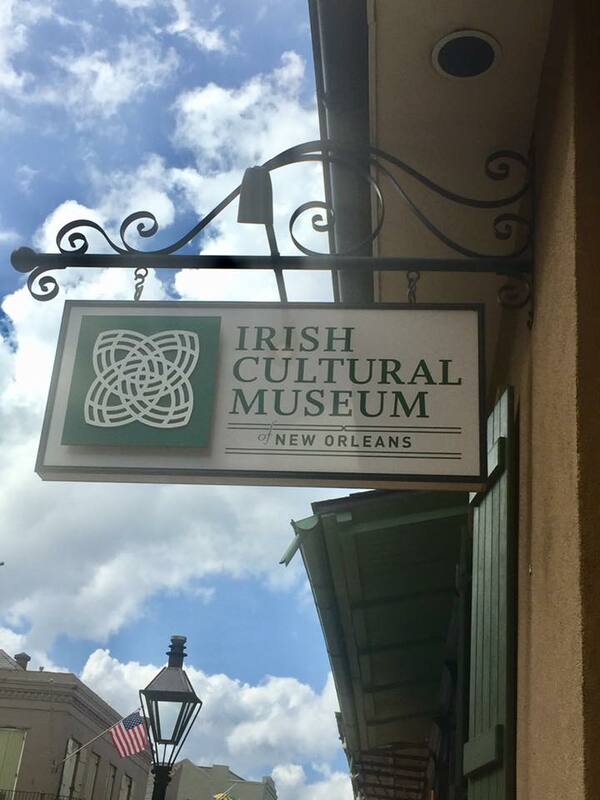 It’s a free one-room museum that briefly covers the history and contributions of the Irish population in New Orleans. 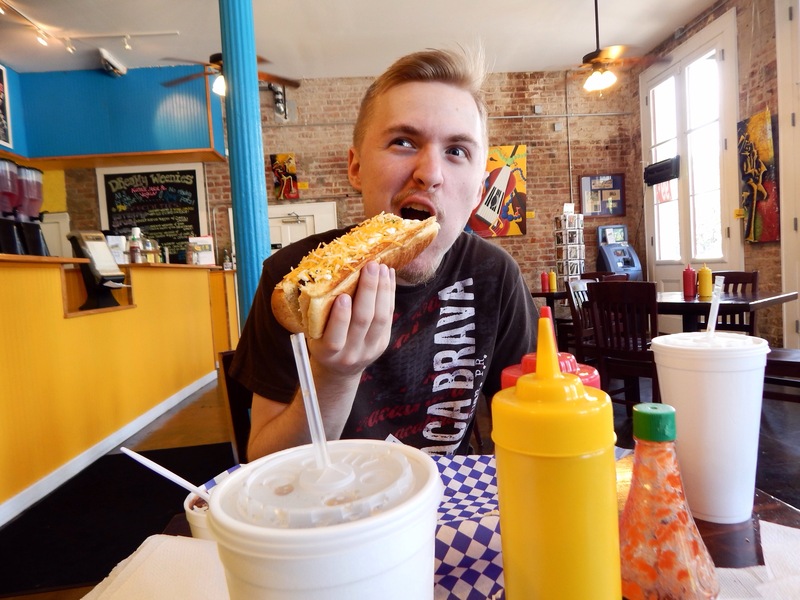 While bordering on being a tourist trap, the French Market is still a fun stop on any New Orleans vacation. The outdoor market is jam packed with food stalls, local vendors, artists, and craftspeople. If you’re looking to buy souvenirs for friends back home, you can often find small handmade goods inbetween the flashier (and occasionally trashier) offerings that some vendors offer. 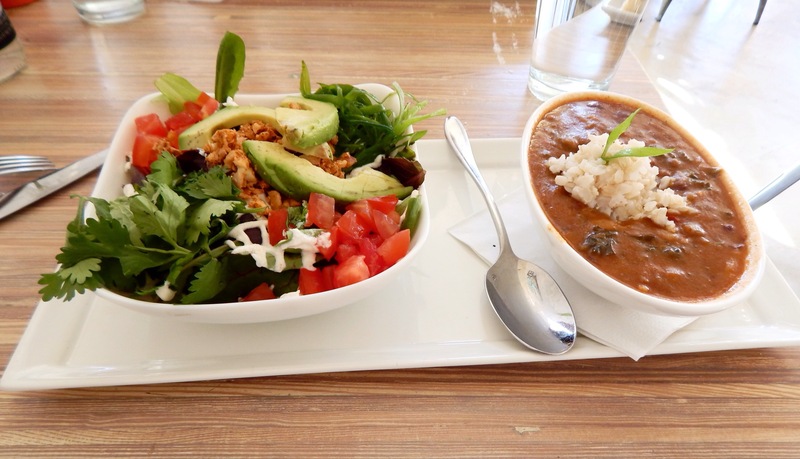 When it comes to food, our favorite is the Meals from the Heart Cafe. 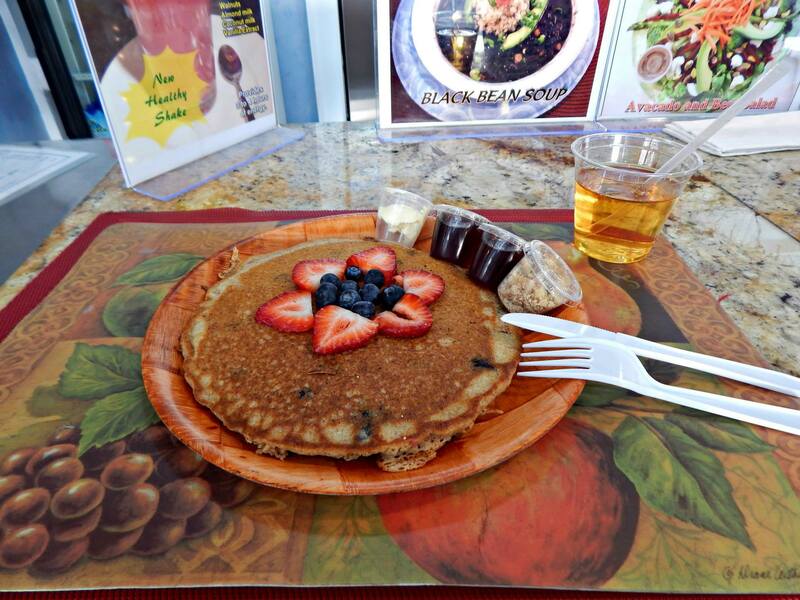 The little stand is a health conscious cafe serving up vegan-friendly dishes like gumbo, blueberry pancakes (see above), and plant-based crab cakes. It might seem odd to some that I’m recommending looking at graves for fun, but there’s no place where that’s more acceptable than New Orleans. Since the city is below sea level, all of their dead have to be buried above ground, which results in elaborate (and often creepy) burial tombs. Saint Louis Cemetery No. 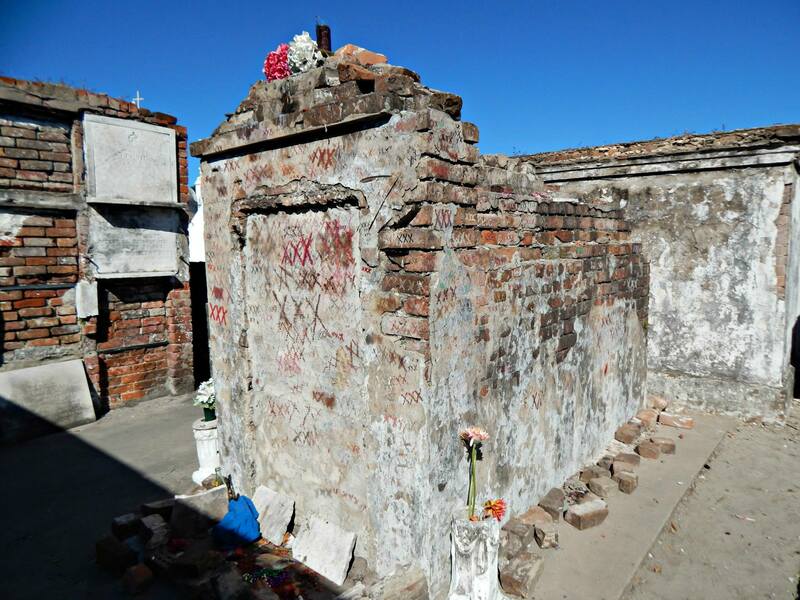 1 is definitely the most popular graveyard to visit, with famous inhabitants such as Marie Laveau, NOLA’s first mayor, and even a preemptively purchased plot for Nicolas Cage. You can only visit the cemetery if you’re on a tour, so I recommend going with French Quarter Phantom’s option. Sorry for the lack of postings guys, I’ve had practically no free time to blog between work and school. But I’m three weeks away from freedom (aka graduation)! Looking for a getaway, Peter and I, along with our roommate Connor, took a day trip to the Louisiana Renaissance Festival on Saturday. Peter wore the chainmail he’s been working on for the last few months and I dressed up a mythical faun. Connor also wore a tabard and was rocking his Cthulhu hat. The festival was surprisingly large, with a sprawling map of vendors, performers, and events. We got there about noon but had waited to eat all day in anticipation for good festival food. We were not disappointed. Connor got some beer cheese soup in a bread bowl. I was pleasantly surprised by there being a vendor that advertised having vegan food! Phil’s Mediterranean Grille had an item called vegan medley that could be served in a sandwich, on fries, or with hummus. They also had other vegetarian options like the black bean gypsy burger that Peter got. The people running it were extremely friendly and hilarious to listen to. They were also very knowledgeable about what was vegan-friendly. I went with the Greek fries option (which were tender red potato fries with seasoning) and asked the server to top it with everything vegan, which I expected to be two or three things. Because of this mistake glorious accident I ended with a smorgasbord of toppings. Here is my monster of a meal (which I struggled to finish half of) with the toppings of black beans, curry rice pilaf, steamed vegetables, sauteed onions and peppers, and fresh tomatoes. Oh my gosh, so much food and so good. Honestly it wasn’t a bad deal either for $10, because most festivals you get half the amount of food for that price. After stuffing ourselves, we wandered around the rest of the areas. There were plenty of shops selling various wares (dragon puppets, glass trinkets, drinking horns, etc.) and several weapons shops too. One of the best things about Renaissance Fairs is the constant streams of music coming from different performers. We saw people playing lutes, pipes, guitars, bagpipes, and even didgeridoos. A dueling competition took place. It looked very similar in technique and rules to the fencing I did in high school, just double the fun because of the two swords. We decided to try out some weapons of our own at the crossbow shooting range. None of us had used one previous, so I’m sad to say Connor is the only one who managed to hit a target. This festival had more learning demonstrations than any other I’ve previously visited. There was a blacksmith forge with people creating knives, horse shoes, and jewelry. The young girl below was a silver smith creating a key. My favorite demonstration was the woman making natural dyes. Everything from turmeric to onion skins to ground acorns. We stood and talked for a while as she dyed yarn and learned about different techniques and easy beginner projects. The day had a grand finale with a performance by Paolo Garbanzo, a comedic juggler who we’ve previously seen at the Tennessee Renaissance Festival. Armed with juggling pins, flaming sticks, a lobster hat, and D&D jokes, Paolo had us laughing until we were in tears. A great way to finish a fun-filled day and we wouldn’t hesitate to return next year.